Will investors now look towards the property auction market? 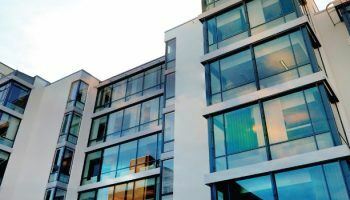 Despite many warnings and suggestions that the UK property market is overvalued in some areas it seems that demand for UK real estate continues to rise. Even the ongoing European Union membership issue is having little impact at this moment in time ahead of the referendum later this year. While some investors may be considering sitting on the sidelines for the time being, ahead of the referendum result, where can other investors look to find better value? Will property auctions grow in popularity? Property auctions have been around for many years now and were once the domain of financial institutions left with property they did not want. There is now more involvement with the general public and a variety of television property shows have brought property auctions to the masses. Even though TV has played a part in their growing popularity it is worth noting that traditionally because of the higher perceived risks the perceive rewards are often higher with auction property. So, could investors now start looking towards property auctions for greater value? In years gone by buying a property at auction meant taking a lot of information on face value with little or no time to do your own research. The situation has changed dramatically in recent times with legal packs now required for each property where possible issues need to be flagged. The fact that some of these issues are buried deep in the legal packs means that potential investors will need to do their own research but the information should be there. Unfortunately, not all auction investors are willing to dig deep into the legal packs and often miss issues which make a property “too good to be true”. While many properties bought at auction are already suitable for immediate renting there are also a significant number which require work. The simple fact is that the more work you do yourself the cheaper the property but the greater the risk that prices could get out of hand or you may not be able to sell/rent the property immediately. This is where the risk/reward ratio is very different from traditional markets where predominantly you are buying a property ready to move into. The TV programmes may make property development look simple, fairly quick and potentially lucrative but this is not always the case. However, if you crunch your numbers, give yourself enough headroom above expected costs and are able to gauge the value of the local property market there is no reason why you can’t be successful. It may mean doing as much work as possible yourself, it may stretch your finances to the limit but if the means justifies the endgame it is perhaps an area to look at? In general the risk reward ratio in the property auction market is significantly higher than that in the traditional market. True, there are legal packs with all auction properties today but many investors seem to ignore these to their detriment. The potential profit margin on auction properties has reduced of late due to many people looking away from the traditional market. However, if you are sensible, do not over run on the purchase price and development costs there is still significant upside potential.